COILED CREW facilitates impactful hair conversations between naturals and brands that cater to a fierce breed of females. Our events provide a platform for learning, educating and celebrating all things natural hair. #KinkyConversations, #CoiledCrewCareClass and the #AWEsome entrepreneur campaign are such platforms. We cater to the young-at-heart moms and professionals that have re-embraced their natural roots. 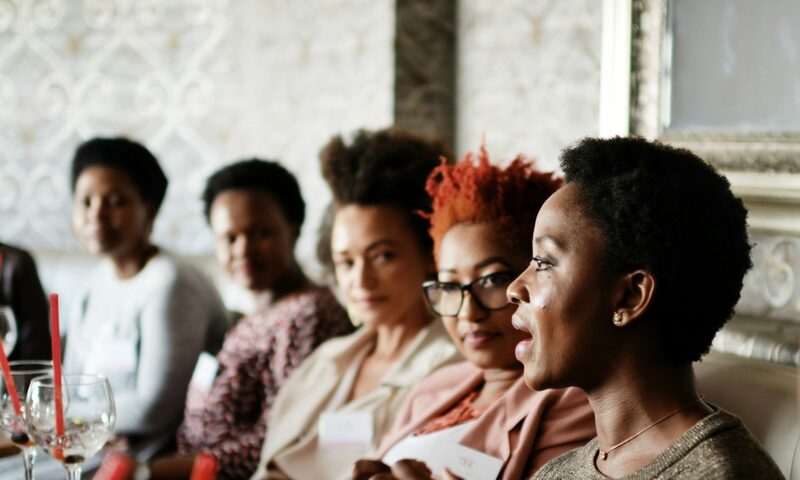 Hair may be the common thread that connects our crew, but the end results are enriching conversations that create a community of supportive women. We see collaborations with brands as a win-win, a rare opportunity to meaningfully ascertain just how hair products are experienced once they are out of a brand’s controlled environment and in the hands of an enthusiastic natural. In a world of bathrooms teeming with abandoned products that promised a slice of heaven, acquiring useful and practical product knowledge is refreshing to a natural and empowering to a brand. As COILED CREW, we continuously challenge ourselves to be the bridge that connects us naturals to brands that do not only create products that meet our needs, but acknowledge, respect and represent us. Ncomeka is an adventurous, optimistic ball of energy that is enamoured with all things beauty and natural hair. She is that crazy aunt you’ll be reluctant to leave your kids with even though they love her madly. The only time her mind is not teeming with ideas and visions of grandeur is when she’s snoring. Her mission is to make everyone’s life better and freaking fun. Unathi might seem like that kid who went home from school with all her hair still neatly tucked in its bun, but looks can be deceiving. Creative yet so methodical is her mind boggling superpower. She is a soft spoken nurturer with a slick sense of humour that is easy to miss. Her real mission is to take over the world and turn it into a spotless utopia.